Jean-Drouant Hospitality and Catering High School is the former hospitality school of Paris, sometimes better known as Médéric School, which relates to its address close to Park Monceau in the 17th district of Paris. It has been a reference in hotel industry education for over 80 years now. With its beautiful red-brick architecture, a monumental classified doorway, a room famous for a fresco painted by Yves Brayer and Julien François’s restaurant and ballroom that mirrors the reception hall of the Normandy liner, our school is located on the precise site of Sculptor Bartholdi’s workshops. It is the place where the Statue of Liberty once stood for a while, overlooking the neighboring buildings of Paris and who is today watching over the New York City Harbor. A large number of our high school and higher education students have also swarmed over the world into some of the most prestigious establishments, but they all remain truly attached to their school and many of them regularly meet again thanks to the meetings of the former students’ association. Bearing the legacy of a prestigious tradition, we also know that nothing can ever be taken for granted forever, this is the reason why we use all our energy to remain a first-class school and to constantly prosper in the quality of our work. I am proud to conduct a motivated team of individuals who puts their great human and professional skills to serve the success of our students. Located not far from the Étoile, in the Parc Monceau area (17th district of Paris), Jean Drouant Hospitality School of Paris benefits from a privileged environment and from historical premises. It is the place where, in 1884, sculptor BARTHOLDI entirely assembled The Statue of Liberty which was overlooking the neighbouring buildings from its forty-eight-meter-high elegance. In 1934, Jean Drouant, President and Founder of the A.P.H.R.L. (Professional Association of Hoteliers and Restaurant and Café owners), decides to give to Paris its first hospitality school. The Hospitality School of Paris will be inaugurated two years later on October 1st 1936 by Albert LEBRUN, President of the French Republic. The building architecture that was adopted is typical of the Art Deco architectural style with its classified entrance staircase and its monumental restaurant and ballroom that both mirror the reception hall of The Normandy liner. Known and recognized by all the professionals, the Hospitality School of Paris is nicknamed “Médéric School” by its former students and relates to the name of the street where the school is located. The Hospitality School of Paris « lycée des Métiers » Jean Drouant owns a self-service facility and two school restaurants. Julien François restaurant offers a gastronomic cooking and Atelier Bartholdi offers a brasserie service. The school also has a library and information centre, a student centre, vast professional premises (eight kitchens, four pastry labs, catering workshops as well as dishwashing areas with waste recycling devices, etc). Since 2004, the school has been a « lycée des Métiers ». This label of excellence was delivered by the National Ministry of Education and acknowledges the very complete panel of training courses that our school offers as well as the whole range of consistent professions it prepares our students to (initial trainings, lifelong learning and apprenticeship). 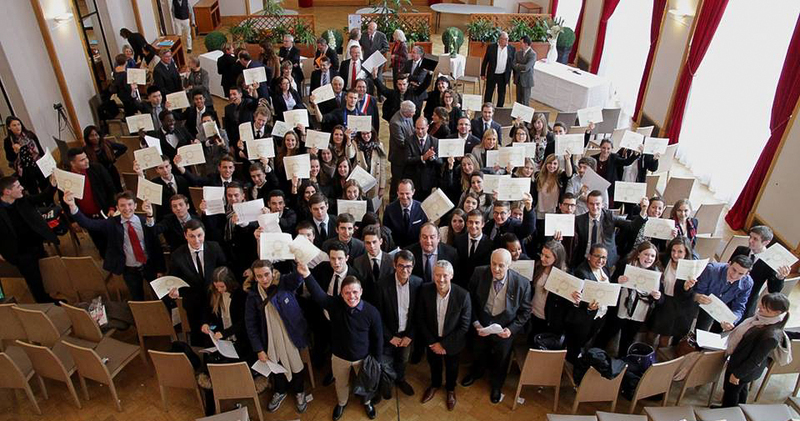 The « lycée des Métiers » label also guarantees the fact that our school constantly improves its integration in a geographical and professional environment while developing tight relationships with local partners.